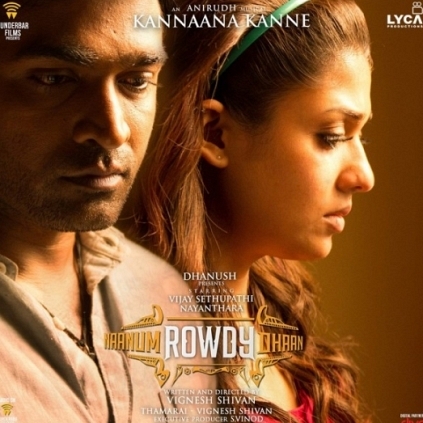 Anirudh’s scores in Vijay Sethupathi’s Naanum Rowdy Dhaan have turned out to be chartbusters and they are the most talked about now among music lovers. Interestingly, one of the numbers, Kannana Kanne has been sung by fellow composer Sean Roldan and his unique voice and rendition have taken the song to a different level. We spoke to the young music director who is responsible for music direction in films like Vaayai Moodi Pesavum, Mundasupatti and others. How did you get to sing this mesmerizing number? I know Anirudh from his school days and we have a lot of mutual friends. We used to talk on and off even after he became a composer. One day I got a call from my friend violinist Ananthakrishnan who is working with Anirudh. He asked me to come immediately to the studio to record a song. Then Ani also came on the line and said that he would like to complete recording that day. I went and heard the song and it was awesome. Ani had sung the rough version and it sounded quite good. Director Vignesh Shivan was there and it was super fun. The tune was amazing and we completed the recording. Did you expect the massive response for the song? Yes, I expected it. The tune was very good and it was bound to become a hit. I am glad that Ani’s real independent music composition side is coming out. The music directors who are creating ripples in the field today are all independent music composers. Anirudh - Samantha's Telugu Film A.. Aa Is Formally Launched! The Album Of Ajith’s Vedhalam To Release On Anirudh’s Birthday, The 16th Of October. Anirudh To Compose Music For Dhanush - Durai Senthilkumar Project! People looking for online information on Anirudh, Kannana Kanne, Naanum Rowdy Dhaan, Sean Roldan will find this news story useful.